This is the most incredibly delicious pumpkin soup I’ve ever eaten & everyone that has tried it agrees! 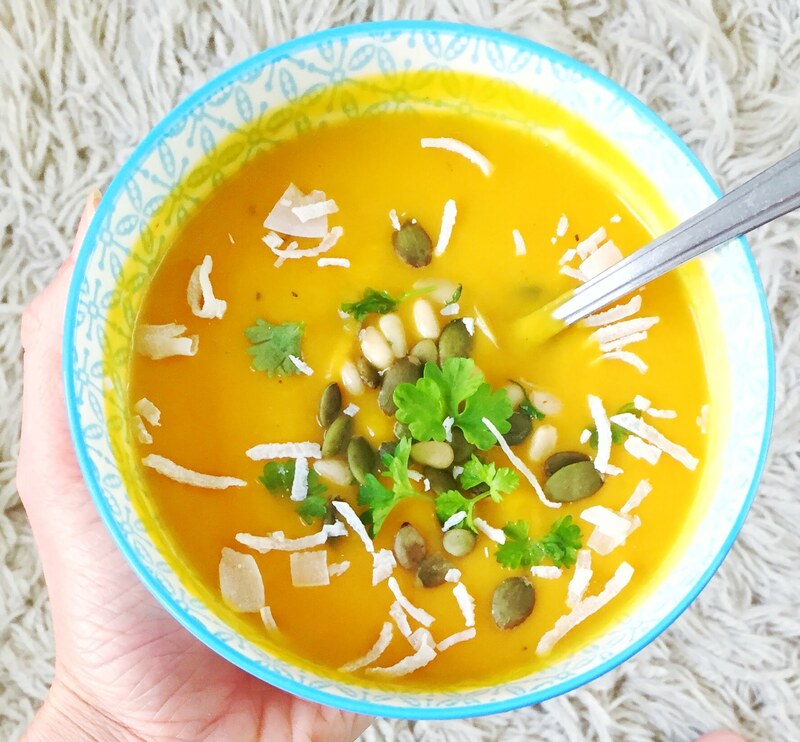 It’s a great meal to cook up in big batches & freeze for a quick & easy lunch or dinner, plus it is extremely healthy & much lower in calories & fat than traditional coconut pumpkin soup as it uses coconut milk instead of coconut cream. Peel & chop pumpkin & steam until cooked. While pumpkin is cooking, heat oil in a large saucepan. Peel & chop onion & garlic & brown in saucepan. Add chopped chilli & spices into saucepan & heat. Remove cooked pumpkin from steamer & add to saucepan & stir through the onion spice mix. Add coconut milk to saucepan & simmer until thickens. Remove from heat & pour into blender. Blend until smooth & creamy. Serve hot & sprinkle with pepitas, pine-nuts, shredded coconut & fresh parsley. Editor's Note: This is an independent article.